Below: Give your kids a midday pick-me-up with these fun, encouraging, and free printable April lunchbox notes. They’re perfect for the month of April and Easter! Here in Maine we still have snow on the ground and falling from the sky, but when April hits we know that spring is just around the corner, even if it doesn’t always feel like it. So I, for one, am thrilled that budding trees and blooming crocuses are in our near future. I’m also excited for the annual egg hunt we do with all of our smallest dinner guests each Easter Sunday. And finally, I’m excited for a brand new batch of lunchbox notes for my kids! Funny side note: I recently went away for the weekend with some friends and my husband was the lone ranger with the kids. 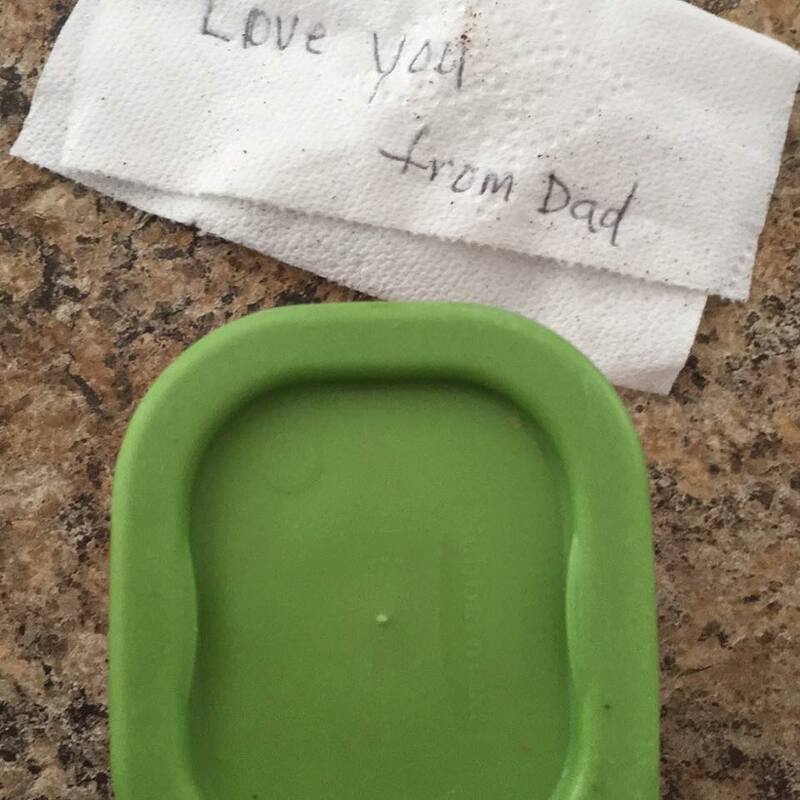 When my flight home got delayed, he packed the kids’ school lunches and I found these notes when I cleaned their lunchboxes out at the end of the day. So adorable and hilarious that he wrote them on toilet paper. Obviously I need to show him where I keep my note stash! Ready for your notes? Just fill in the form below and they’ll automatically download! If you’d like an entire year’s worth of printable lunchbox notes, plus other great extras, check out this resource pack! Interested in learning more about the power of the written word to your kids? 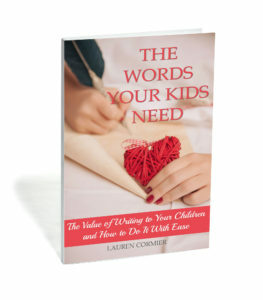 Grab my book The Words Your Kids Need: The Value of Writing to Your Children and How to Do It With Ease! What a GREAT idea! Just downloaded mine! Can’t wait, thanks for making this so easy!